Bati-Holic is a performing arts group based in the old city of Kyoto, where the culture and the traditions of Japan developed. 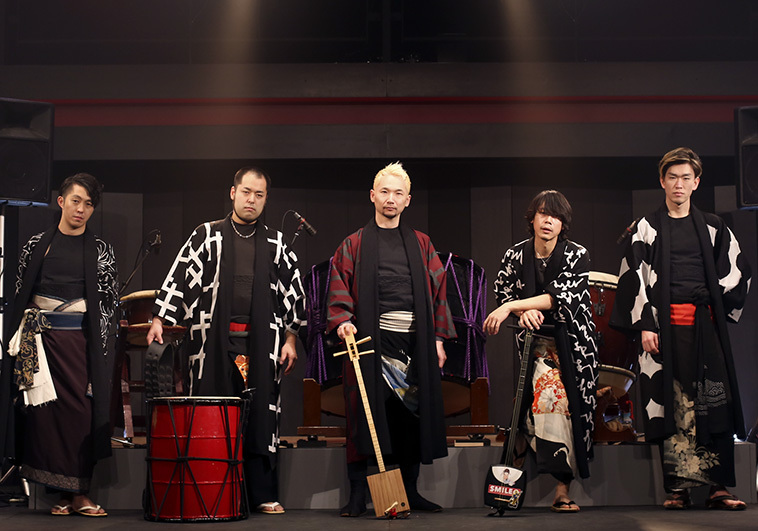 Their repertoire focuses on the wa-daiko (Japanese drum) and fue (flute), but they produce an “original new-style hot groove music”. They perform over a hundred gigs a year both in Japan and overseas, under their catch-phrase “Nippon, in the groove”. Bati-Holic are a six-person group, and passionately stage their concerts with modern sensibility to appeal across all generations, cultures and nationalities. WMDF is excited to bring you this meeting of worlds.